Thinsulate insulated Yarns Kup Kollar on a water bottle to hold in cold. 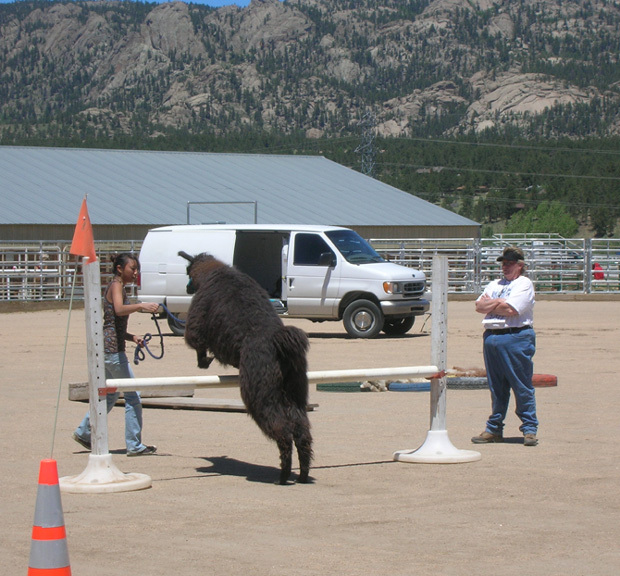 Pam and I went to the arena to watch the llamas at the Estes Park Wool Market. They were competing for best pack animal. The judge explained the strengths and weaknesses of each animal when she gave out the 6 ribbons. The llama in the photo won the blue ribbon. While watching, I ate a snack and drank cool water thanks to my Kup Kollar (bottle wrap) on the bottle! Next we watched the Llama Limbo. The owners led the llamas to the cross pole and tried to get them to go under. The cross pole was moved down a notch each time the group finished a round. If the llama knocked the cross pole off, it was eliminated. Some of the llamas dropped to their knees and slowly scooted under. One llama trotted up to the cross pole as if it were going under but stopped short and put its chin on the pole! In the next game the llamas had to jump over the cross pole with the same rules as above. 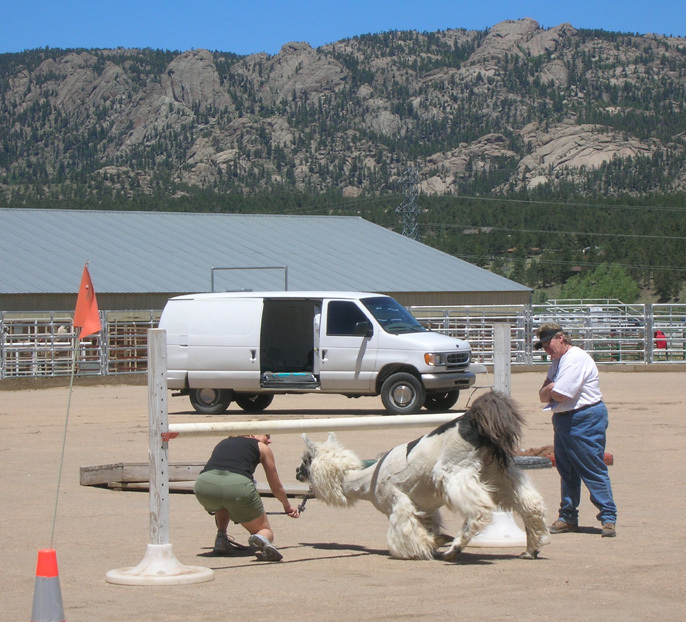 As the pole was placed higher, it became harder for the owners to leap over the pole than the llamas!